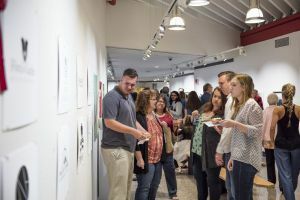 Pensacola State College’s Visual Arts Department awarded ribbons, plaques and $23,590 in scholarships and prizes to students at the 51st Annual Art Student Honors Ceremony recently. For the first time, the event also included Judges Choice Awards based on judging from outside the Visual Arts Department. 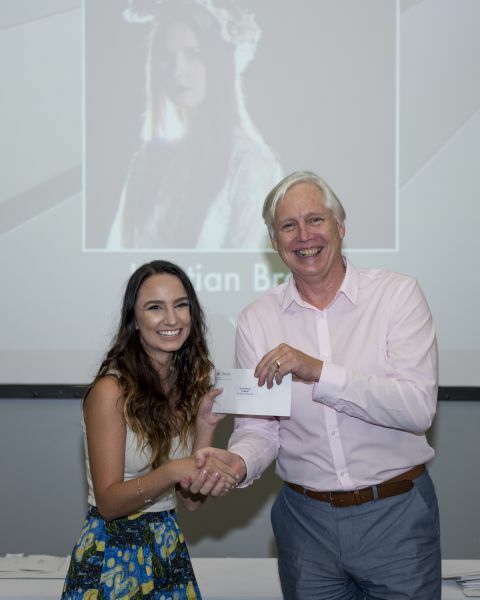 Dreyden Wells, an artist and ceramics instructor at the University of West Florida, selected winning works in the 51st Annual Art Student Honors Exhibition. 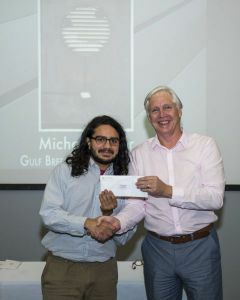 Photography major Michael Suhor won the first-ever Best of Show ribbon for his work, “Time, Light, and Life,” a film-based medium that transitioned from a positive to negative to positive image as its light source changed. “Creating this piece required a lot of steps and a lot of work. I feel honored – and surprised – to get the Best of Show award for it,” Suhor said. Renee Bates received the Visual Arts Department Scholar award for having the highest GPA. Clover Student Art Purchase Awards went to Renee Bates ($200), Kristian Breeze ($150) and Catherine Scully ($150). Works by these students were purchased to remain with Pensacola State’s permanent art collection. “For many years, our art professor Bill Clover has hand-crafted an array of unusual mugs that are sold with all proceeds going to purchase works from our annual student show for the PSC permanent collection,” said Krist Lien, Visual Arts Department head. Visual Arts head Krist Lien, right, presents Kristian Breeze with a Clover Student Art Purchase Award for her work that will be placed in Pensacola State’s permanent art collection. Photo by Nick Bridges. Visual Arts head Krist Lien, right, presents Michael Suhor with the first Best of Show award given at Pensacola State’s 51st Annual Art Student Honors Exhibition and Ceremony. Photo by Nick Bridges.